Tonight’s episode of The Vampire Diaries was called ‘Do Not Go Gentle.’ We are racing towards the season finale and on tonight’s episode – where do I start what an episode! So much happened Esther was back and she has Alaric on her side. Esther wants to make Alaric a super Vampire Hunter. She wants him to kill her children and every vampire in Mystic Falls. Before she can do that she needs to turn Alaric into the same thing her husband Michael was. If you missed the episode you can read our full and detailed recap here. 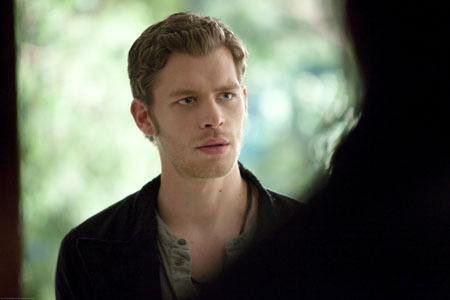 Klaus acts on his intentions to leave town with Elena, but finds resistance from a surprising new enemy. Bonnie calls on Abby to help her with a difficult spell. 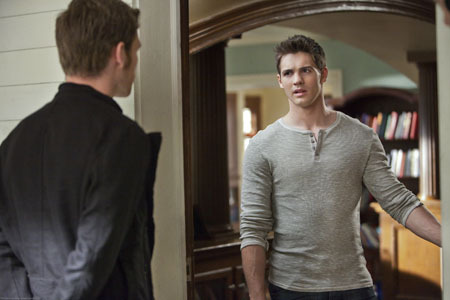 As events spiral out of control, Elena is determined to protect Caroline, Damon and Stefan enlist Tyler’s help, while Bonnie and Jeremy take a terrifying risk to make sure her spell is effective. Damon and Stefan have a surprisingly candid conversation about the future. 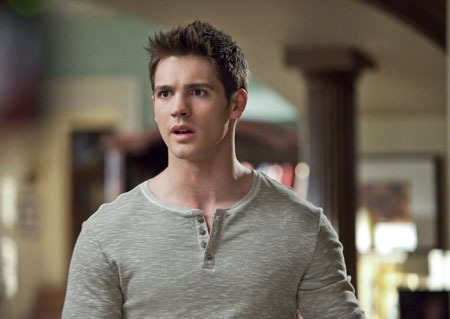 Chris Grismer directed the episode with story by Charlie Charbonneau & Daphne Miles and teleplay by Caroline Dries. 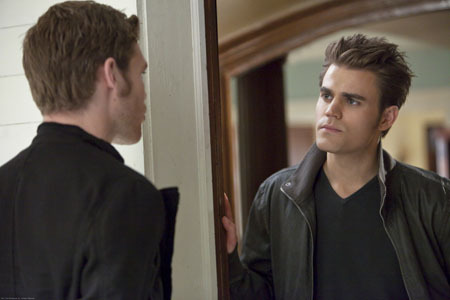 The promo for next week’s episode opens up with Damon ringing Stefan’s doorbell – when Stefan opens the door Damon says we have a problem. Damon is holding Bonnie who is bleeding she has been bitten by a vampire, Alaric. In the next scene yikes, we see Alaric slamming Elena into a locker and he tells her she does not deserve to live. It looks like to beat Alaric, Damon and Stefan will work with their enemy Klaus. The video is great and there is a lot more, check it out and let us know what you think. Before Sunset airs on the CW on May 3rd, 2012. Check out the preview video and the pictures below below and let us know in the comments below what you think!